This project was funded in FY2016 through the National Fish Habitat Action Plan. 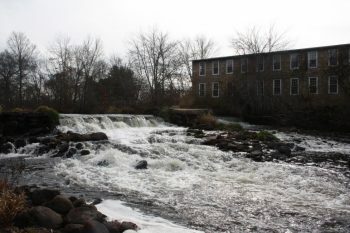 The Wood-Pawcatuck River Watershed is one of the most important coastal watersheds in southeastern New England, and one of the most undeveloped intact areas between New York City and Boston. This watershed is of significant regional importance to diadromous fish populations including alewife, blueback herring, American shad, and American eel. While water quality is suitable to support self-sustaining populations of resident fish in this watershed, these migratory (diadromous) populations are threatened by degraded habitat caused by dams, which have obstructed fish passage and caused river fragmentation. 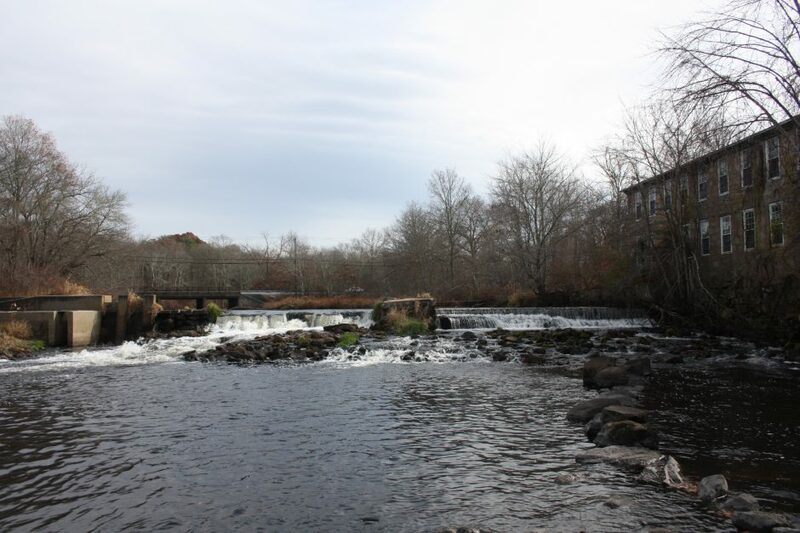 For this project, the Rhode Island chapter of The Nature Conservancy replaced the Bradford Dam with a step-pool nature-like fishway. It opened 32 river miles and provides access from the estuary to spawning and nursery habitat in the headwaters of Worden Pond. Removal not only improved fish passage, but improves flood resiliency by eliminating the risk of destructive flooding as a result of dam failure. Photos and text provided by The Nature Conservancy.